It was recommended by my friend to replace my stock spring, to make my car mid lower that I am wanted. Not installed yet but it's kinda cool! 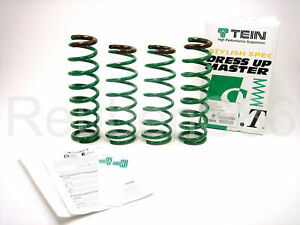 I purchased Tein S-Tech lowering springs for kyb excel-g struts. Looks great with no issues with install. Tein S Techs has always been good to me. Match it with some good struts/shocks and they ride very well! Installed these on my 99 ej8 and the rear end sits lower than the front. After reading more forums online its not an uncommon problem. Do not recommend at all.